Long before Warner Bros. set up their DC Comics Extended Universe, which will start to fully take shape with next week's Batman v Superman: Dawn of Justice, the studio was developing Lobo, which had many filmmakers come and go but never seemed to get off the ground. Today we have word from The Wrap that the project is back in the works again, with the studio hiring Wonder Woman screenwriter Jason Fuchs to write the script. This report claims that the writer will start over completely from scratch on the project. We first reported on Lobo back in 2009, when Guy Ritchie signed on to direct. He ended up leaving the project in 2010, to make Sherlock Holmes: A Game of Shadows. After the failures of comic book adaptations such as The Losers and especially Jonah Hex, Lobo was considered a dead project, but in 2012, Brad Peyton came aboard to direct, working from a script by Don Payne (Thor, Thor: The Dark World). Dwayne Johnson came aboard to star later that year, but the project still never materialized. 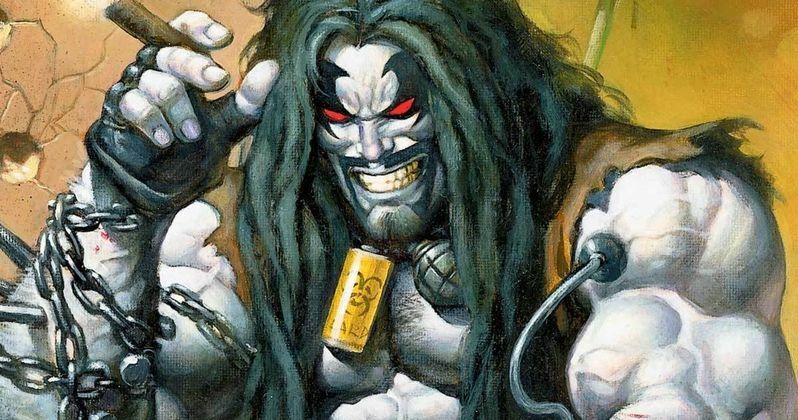 Brad Peyton revealed last year that Lobo still may happen, but it may not reach the silver screen for quite some time, since the studio's current priority is the DCEU. The filmmaker is still attached to direct, but we'll have to wait and see how long it takes for the script to get ready. Dwayne Johnson is actually attached to star in another DC project, Shazam!, where he's set to play Black Adam. That movie is currently set for release on April 3, 2019, but we haven't heard any updates on that project for several months. Related: 2 New DC Movies Announced, What Are They? Lobo was created by Roger Slifer and Keith Giffen in 1984, first conceived as an interstellar bounty hunter and mercenary who travels the galaxy looking for his next target. The character became even more popular in the 1990s, when he was resurrected as a renegade biker. No details were given regarding which version of the character will be seen in this superhero adaptation, but we'll have to wait and see. Akiva Goldsman and Joel Silver were attached to produce when the project first entered development, but it isn't clear if they're still on board. Jason Fuchs started his Hollywood career as a child star actor, making his feature film debut in 1996's Flipper, alongside Elijah Wood and Jonathan Banks. He got his first feature writing credit on 2012's Ice Age: Continental Drift, and went on to write last year's Pan. Aside from Wonder Woman, which is currently in production, he is also writing Luna Park for Paramount, which has Tom Cruise attached to star. Are you excited that Lobo is moving forward?